October | 2015 | What's New at Rainnea Ltd. 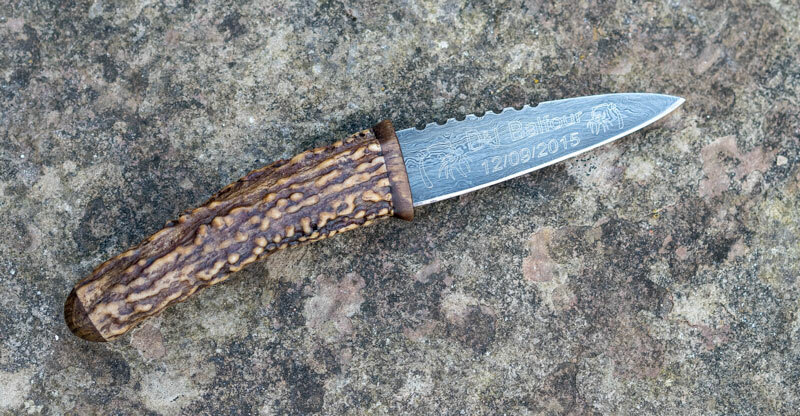 This Sgian Dubh was crafted as a special wedding present for David. Julia sent us some pieces of Richmond Park antler and oak to make into a handle. We used a Damascus steel blade and diamond-point engraved it with some text and a design.